Probably the mother of all kukri knives on this heavenly earth “Shree 5 Chirra” is the ultimate version of all the existing Chirrawal (with fullers) khukris. Shree 5 Chirra (General) is truly the commanding Army General of all kukri brigades.. The success story of Chirra khukuris, especially the 3 Chirra (Beast) goes far and beyond and reached to a height where KHHI was challenged to introduce yet another superior version of this type to better the better and better the best. Thus Shree 5 Chirra was born to be added as another exclusive and extra ordinary knife to the “Chirra (fuller)” category, to deliver the ultimate power of strength, speed, security and satisfaction. The aristocrat name “Shree 5 (five)” has been chosen to denote the royal class and stature of this amazing knife. SHREE in Nepalese, to honor the khukuri and 5, the royal status and also to represent the 5 x fullers/layers that the knife embraces. The five Chirras in a single body (as seen in the photos); the hardest to forge and craft – display of true craftsmanship - to support the blade in fatal impact by easing the tension created, and the heavy blade backed up by 5 x riveted full tang handle make the kukri a wonder whose beauty and beast like character can only be expressed and explained by the owner and the user himself. Shree 5 Chirra khukuri (General) is truly the commanding Army General of all kukri brigades, thus nicknamed as 'General'. 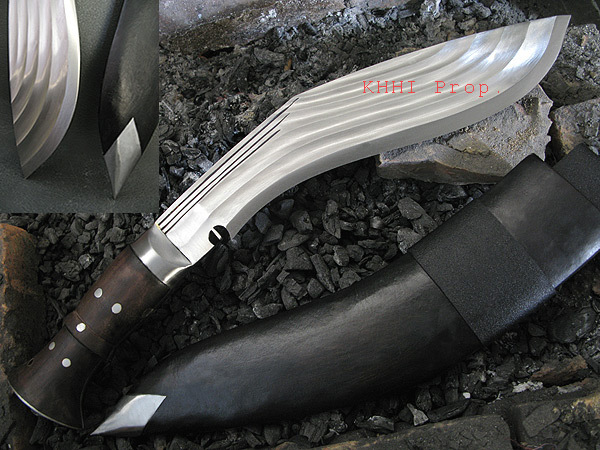 This 5 Chirra kukri knife is the ultimate fuller khukuri, with 5 fullers on the blade which makes this chirra kukri Royal. What makes the Shree 5 Chirra Kukri so special ? Total unpolished finishing for simple yet elegant look and for effective cutting objective. Handle Size: 6 inches approx. Blade Thickness: 10 mm approx. Finally! 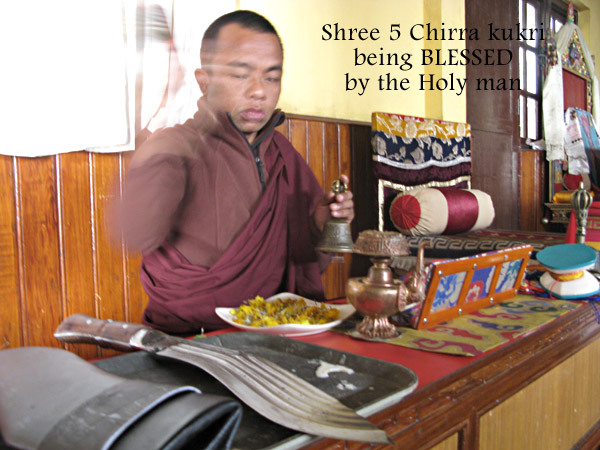 The Shree 5 Chirras Khukuri has arrived! Wow it's exceeded all expectations. Beautiful in every way. Dimensions as advertised. Razor sharp. Scabbard fits like a glove. Weighted at 1300 grams. Very pleased with the shipping quality and delivery time. Now since this was a test case you may confidently expand your offering to India if you so wish. Please feel free to reference me as a testimonial. Thanks for everything. We all believed it was possible and our faith is justified. 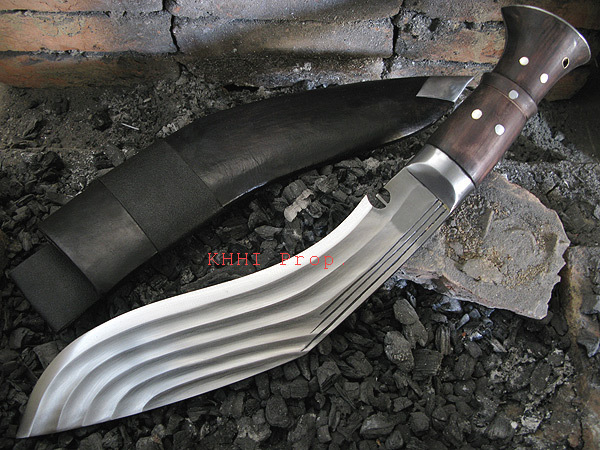 Have a great day and all the best to ensuring that KHHI is the top choice for authentic Khukuri aficionados. Received the Shree yesterday and absolutely love it. Thank you.